Friday Film: "Top Gun: The Real Story"
Back in the days when the first "Top Gun" movie came out, if I had gotten a dollar for every overly aggressive litigation attorney (this was in Texas in those days, where some old school attorney occasionally engaged in fisticuffs in the halls of the courthouse) who told me that he "could have been like those guys," it would have made for a nice nest egg. Well, I hate to disappoint you, but real life often varies from the movies. Professional Navy fighter pilots are smart, tough and a lot of them look like the guy or gal who offers to sell you insurance. Most of them are probably under 6 feet tall, because their offices aren't all that big. Most are in reasonable shape. And all of them work really, really hard to master their job. That being said, a select few do get to go to Fallon, Nevada - in the high desert about an hour from Reno sitting on the "Loneliest Road in America" - to receive training that will allow them to go back to their squadrons to train other pilots in tactics and things. Another select few will take the training and remain at Fallon to instruct while flying and learning. Very much "train the trainer." All fighter pilots want to be the best, but they also want to be surrounded by other pilots who also want to be the best. And, as you will see, the training is not just for pilots. 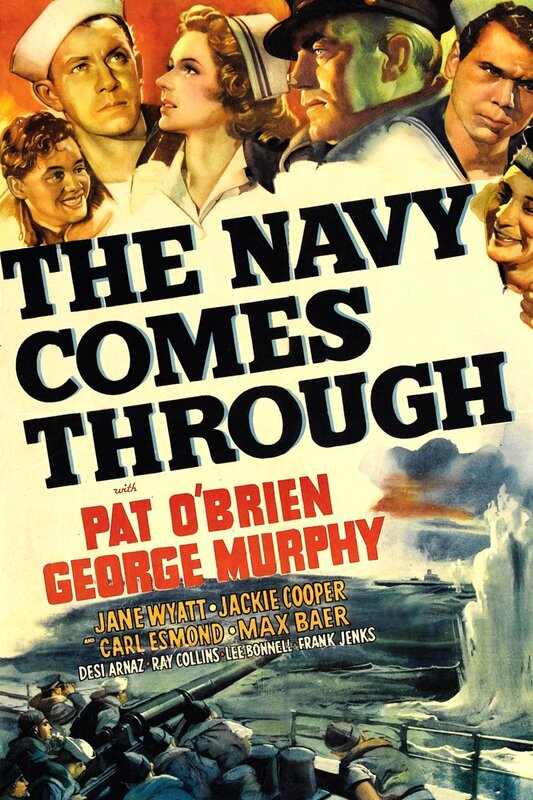 Interesting story involving Navy Armed Guards on merchant shipping in World War II from Lux Radio Theater based on a short story and movie. 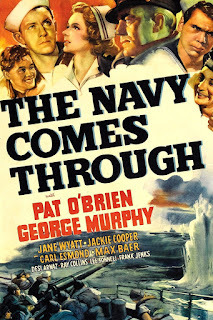 Friday Film: "Radar Echoes in War and Peace"
As briefly mentioned during our 7 April Midrats here, a discussion of how to effectively use our Navy Reserve for maritime purposes touched on Trump's Gunboats by Claude Berube and contributed to by me. I think this part of the discussion begins around the 46:21 point. ... It may be time for the U.S. Navy to go smaller in order to get bigger, sooner while waiting for the warm lines of present production to turn hot on longer lead time ships. The question of how to do this has been answered before in our history: use commercially proven hulls and adapt them to Navy use in nearly every conflict from the American Revolution to World War II. This surge in smaller, commercially-built vessels not only has historical precedence but satisfies growing global maritime challenges as well as domestic employment. ... 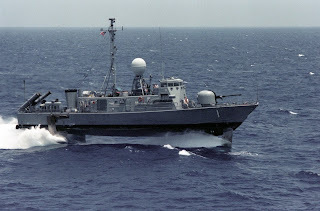 Were billion dollar warships necessary for combating piracy off the Horn of Africa? In a Navy where the only tool is a hammer most every solution is an overly-excessive naval force. .... 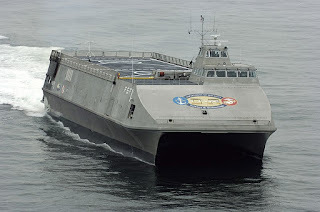 Instead of continuing to use the wrong tool for the job, it is logical to develop a diverse force of smaller naval ships to handle numerous, smaller missions, leaving the blue water navy to pursue the larger, vital warfighting role that it was designed to do. Smaller navy vessels working in squadrons may be more cost-effective in responding to global maritime incidents, patrolling coasts, and deterring similar forces. While the threat of Somali piracy has diminished the destabilization of other economies and nations could cause new threats to shipping to emerge as off Venezuela. Larger threats continue to loom as small Iranian boats swarm U.S. Navy ships in the Strait of Hormuz and China’s maritime militia in the South China Sea have harassed ships in the past. Rather than offering larger, single targets of opportunity, dispersed squadrons of smaller vessels provide greater opportunities to counter asymmetric operations. Charting a New Course,” then Chief of Naval Operation Admiral Greenert wrote, “We need to move from ‘luxury-car’ platforms—with their built-in capabilities—toward dependable ‘trucks’ that can handle a changing payload selection. “Sea trucks” is the perfect way in which to picture arming the smaller ship force. There already exist large numbers of “bolt on” modular weapons systems and sensor packages that could allow a squadron of such ships to present a challenge to any potential foe, ranging from anti-ship and anti-aircraft missiles to various form of autonomous vehicles with many mission capabilities. The addition of helicopters to the mix adds both a counter-surface and ASW capability; the same is true for drones. A lightweight modular force means that a small squadron could form a formidable presence at a relatively low cost. The underlying goal, of course, was to suggest a way of getting lots more platforms out there - with lots more weapons and capabilities. Cheaper, faster, and, if not better, certainly "good enough." One problem has been that the Navy leadership and Congress have become very risk averse - and they dread the idea that smaller ships may be more vulnerable than bigger ships, which might result in the politically unacceptable loss of personnel. If "politics ain't beanbag" as Mr. Dooley put it, these folks need to understand that neither is war fighting. Our young officers and sailors understand that, especially after our involvement in the Middle East in which we have been placing our people at risk almost continuously since the "tanker war" began in 1987. What we owe these volunteers is a large enough force 'right-sized" to meet the existing and potential threats to the areas of the world that are vital to our national interests. To accomplish this, we need to be bold enough to allow the folks who can understand and apply current technology to the problem of maintaining vital sea lines of communication. Armed UAVs operating in swarms from small decks may be answer to some issues, wise and wide use of UAVs, USVs, and UUVs may allow for especially good threat warning and targeting for a flotilla of small missile carrying high speed craft or other craft that carry lots of missiles and drones. We need to put good minds into brainstorming these and other possibilities. And we need to do it now, before we get locked into being all "big decks" and having to deal with the risks that putting so many eggs in so few baskets that the loss of one ship spells catastrophe for the fleet. Nothing wrong with going back and revisiting Sea Fighter or even the hydrofoil missile boats of the past, both of which are pictured above. 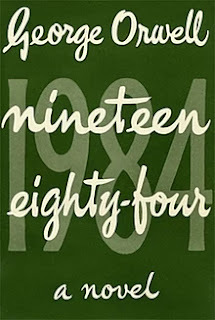 Saturday Is Old Radio Day: "1984"
George Orwell's classic with David Niven as Winston Smith. On Midrats 7 April 2019 Episode 483: Quō Vādis, USNR? Please join us on 7 April 2019 at 5pm Eastern for Midrats Episode 483: Quō Vādis, USNR? 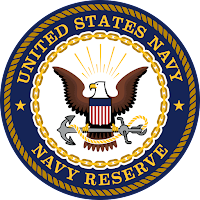 Almost everyone who follows military issues can clearly point to what the Army Reserve, National Guard, USAFR, ANG, and USMC Reserves do – their individual and unit deployments have been highly visible so far in the Long War … but what about the Naval Reserve? What are they doing? Are they being best utilized to purpose? 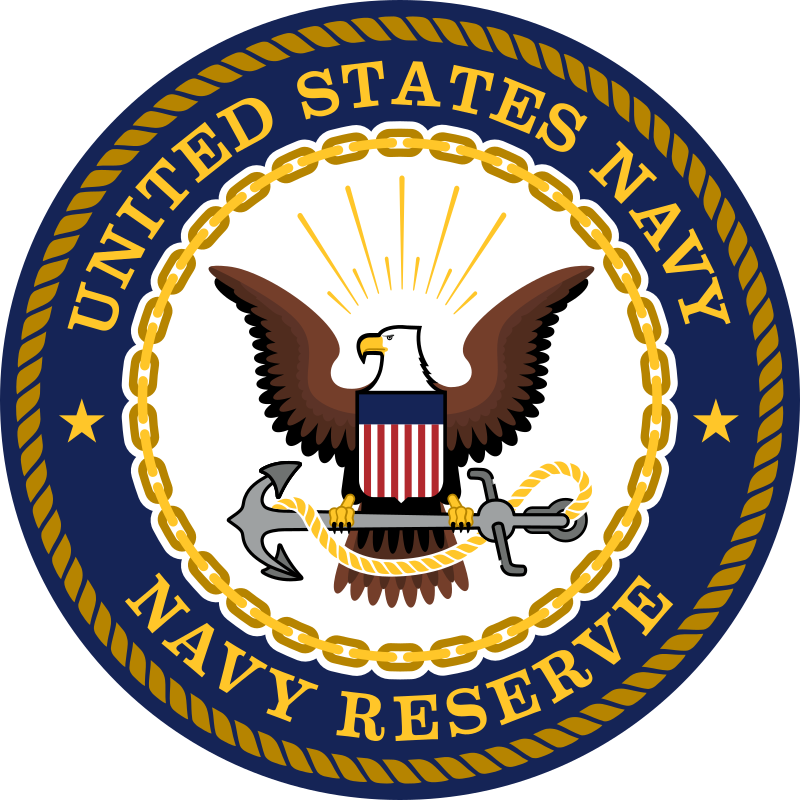 As we re-look at the challenge of a maritime power facing emerging powers on the high seas, do we need to reassess the last few decades of policy, practice, and procedures in utilizing the available manpower and expertise that is and could reside in the US Navy Reserve? Our guests this Sunday, April 7th from 5-6pm Eastern will be Chris Rawley, CAPT USNR and Claude Berube, LCDR USNR. Chris Rawley is the CEO of Harvest Returns, a platform for investing in agriculture, and is Reserve Chief of Staff for Commander, Naval Surface Forces, helping to oversee 3,800 reserve sailors supporting fleet units around the world. During his 26 year military career, Rawley has filled a variety of leadership positions in naval, expeditionary, and joint special operations units afloat and ashore. He has deployed to Afghanistan, Iraq, throughout Africa, the Persian Gulf, and Western Pacific. Rawley has a degree from Texas A&M University, earned an MBA at George Washington University, and is a graduate of the U.S. Naval War College and Joint Forces Staff College. Dr. Claude Berube teaches at the US Naval Academy and has published several books. He recently returned from his third deployment as an officer in the USNR. He has worked as a defense contractor, as a civilian with the Office of Naval Intelligence, and a staffer to two US Senators. Ah, the Cold War - 24 hour alerts, bombers on standby, bomb shelters under houses, tank commanders at the Fulda Gap. And the Navy standing ready. The effect of the differences between the promise of socialist and communist paradises and the grim reality caused (and continues to cause) mass migrations of people flowing away from such "people's republics." Not surprisingly, the leaders of these alleged Utopian societies decided that only by halting the flow of such refugees could the people come to appreciate how splendid life could be under the "guidance" of those - um- "enlightened ones" who knew the true path. Thus, everything that could be done to keep people in was done, fences, armed border guards looking inward with orders to shoot to kill, mine fields, travel passes, informers . . . But there were always defectors . . . so there were more walls, including the Berlin Wall the ultimate symbol of the Cold War. By the way, before the Wall dividing Berlin, there was an effort by the Soviets to blockade Berlin - shutting off all access by land routes. This effort was thwarted by the Berlin Airlift.